What kind of disc print do you offer? 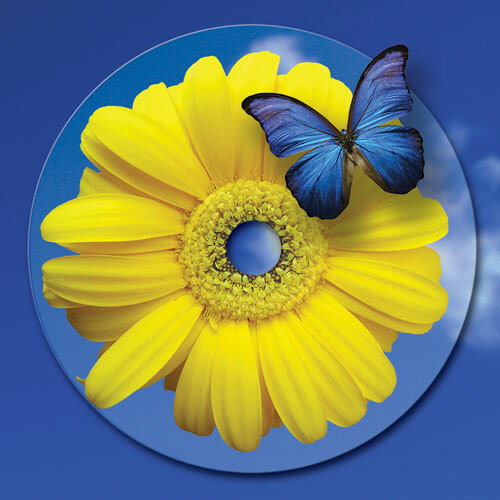 Our stunning disc print is the hot new thermal retransfer (Everest), a quantum leap in disc printing technology. It’s a little more expensive, but it’s worth it. Waterproof, brilliant color, indelible, UV stable (won’t fade), nearly indestructible, the image is literally fused to the disc. There’s nothing like it. 160 lines per inch, a true paradigm shift in disc printing technology. Everest blows away traditional screen printing (90 LPI), and eclipses magazine print standards (150 LPI), delivering unequaled CD printing quality. It produces intense solids, more vibrant colors, and increased clarity and sharpness of image and enhanced color management and color matching. The patented technology gives a depth to the images not achievable with other printing methods. It also won’t scratch off—you’ll ruin the disc before you can scratch the label. 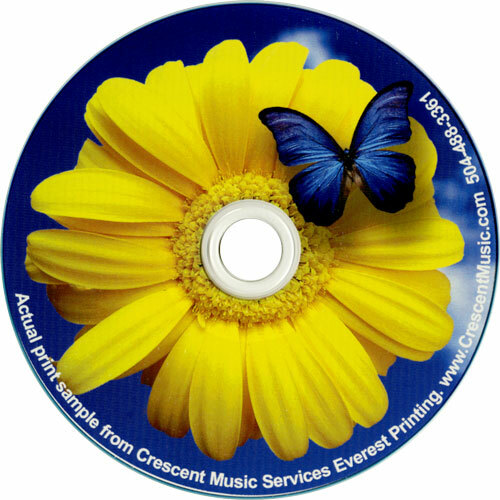 This enables CD-Rs and DVD-Rs to now be used for commercial distribution because Everest printed discs can withstand the rigors of day-to-day consumer handling. What kind of discs do you use? Top-quality professional level Taiyo Yuden CDRs and DVDRs. Ask anyone in the business. Taiyo Yuden is considered the best. We can do one, but it will cost you. I recommend at least 50, but if you only need 20, that’s fine. We do have minimums for the cardboard packaging, but we can do any quantity of the jewelcase inserts. I have a CD manufactured by someone else. Can you reprint it for me? Yes. It is best if you have the files, but we can scan your printed insert. It’s not as good as printing from the original files, and the image may degrade slightly, but I’ve done many of these projects and they work OK. YES. However, if you used someone elses templates, they MAY be the same, and we can convert them (we may have to charge depending on what format). Please read more on our templates page. Can you copy the ISRC code? Yes. Our units read and write that packet. Do you error check your discs? Will these discs play in all drives? Recordable media and burner technology have dramatically improved to the point that this is usually not an issue. To further avoid any future problems, we can run a test disc for you to check in any other players you want before we hit the record button. We cannot control the player you are using, however, and we recommend frequent cleaning of the drive (a common reason for poor playback). What happens if I discover a disc that won’t play? We will refund your purchase price for any disc you return that will not play if it is due to a failed write process that was somehow missed by the built in error detection system of the recorder, or a manufacturer’s defect in the media. We will not issue a refund for unplayable discs due to damage or mishandling or player incompatibility. Please be aware that recordable discs are more fragile than pressed discs and you might unintentionally render it unplayable by merely setting it down on a a piece of paper or dropping it (or using it as a coaster or playing frisbie with it).